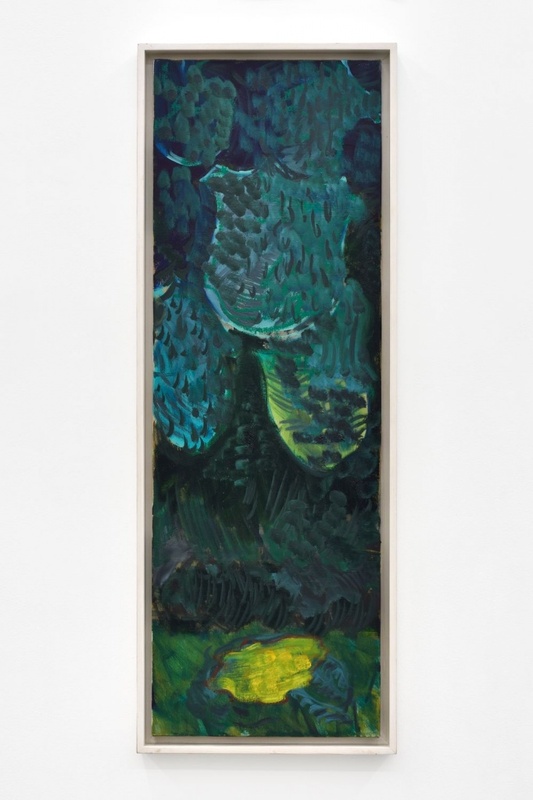 Per Kirkeby (b. 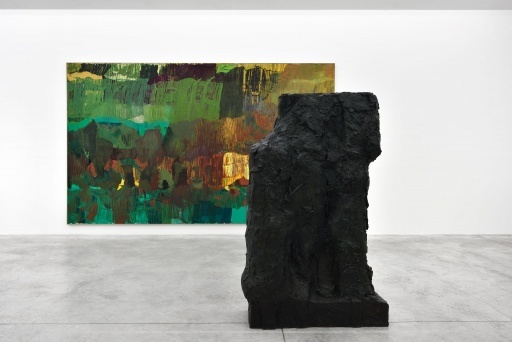 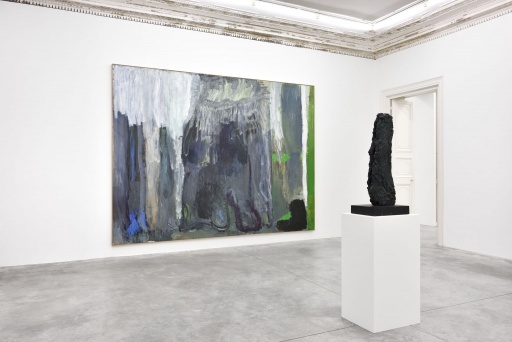 1938 in Copenhagen) is one of the most renowned artists of his generation. 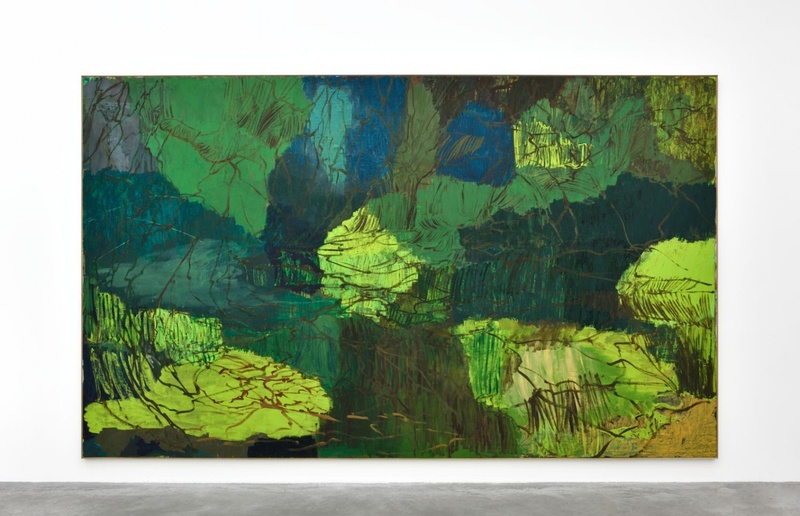 Kirkeby’s multiple skills, not only as a painter, sculptor, and film maker but also as an author (of poetry, essays and travel books) make for a body of strong and unique works. 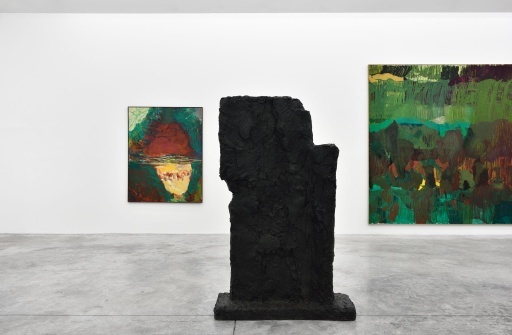 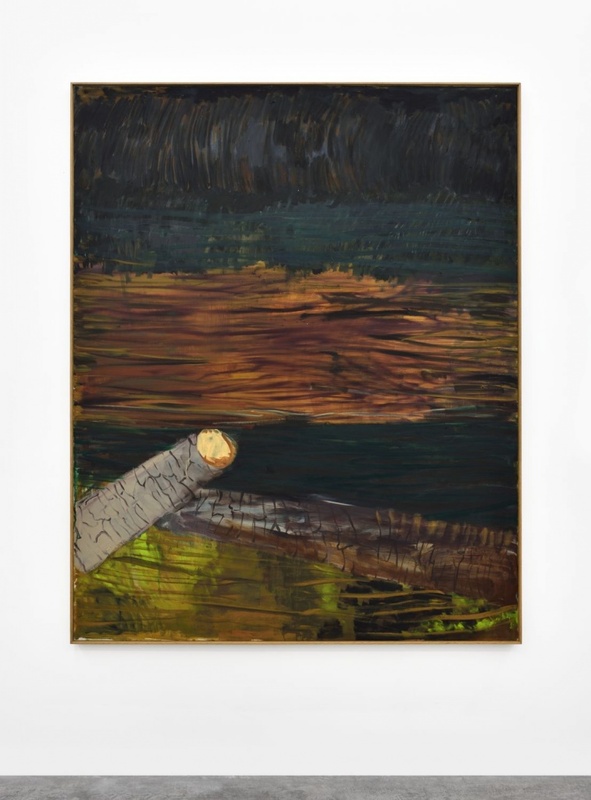 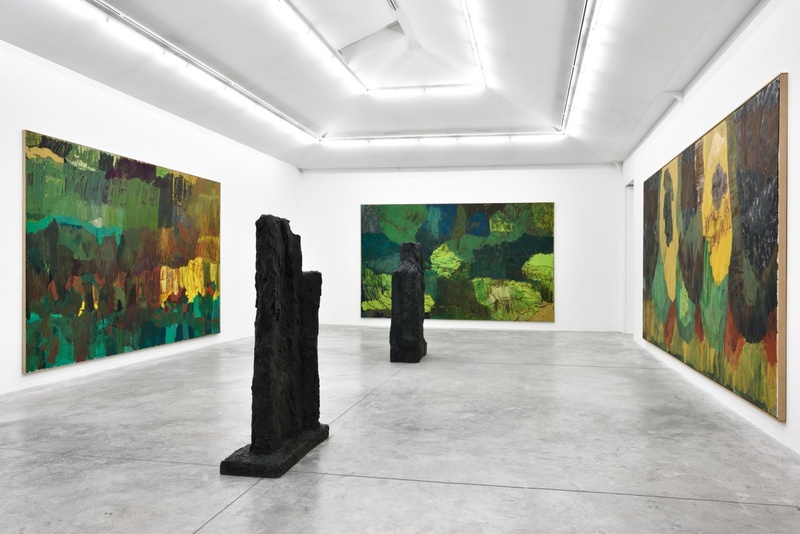 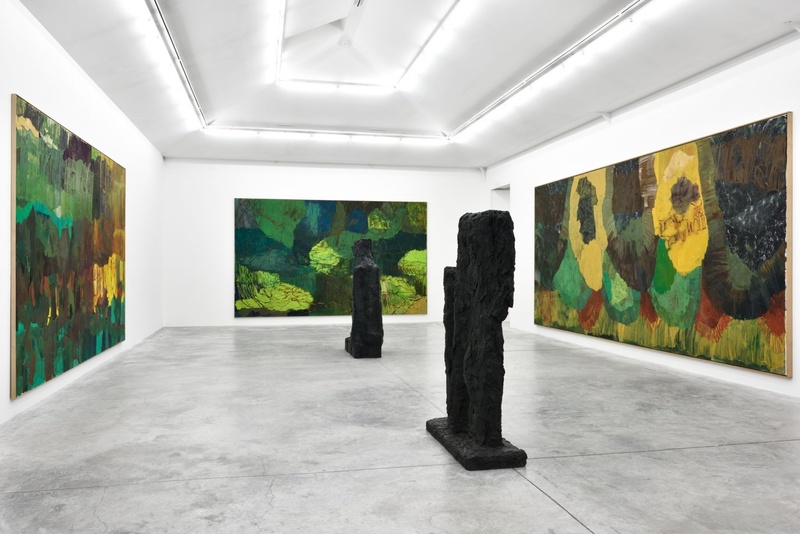 While involved with Fluxus and having studied at the Experimental Art School of Copenhagen, Kirkeby studied geology was and greatly influenced by his expeditions to Greenland and Mexico, which led him to place Nature at the centre of his artistic endeavors. 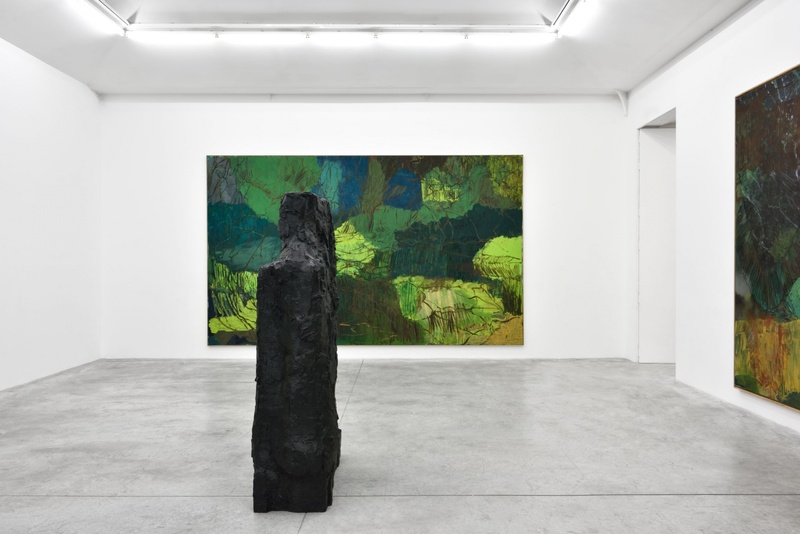 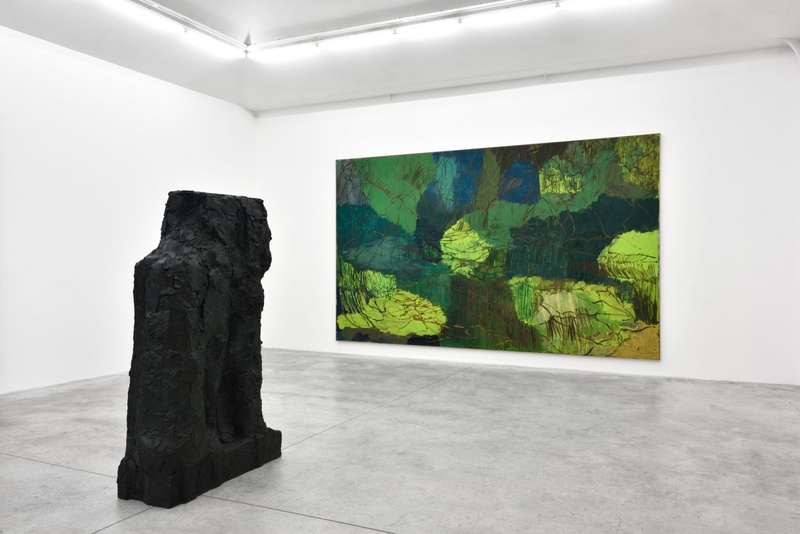 His work is hard to categorise and revolves around themes of landscape, sedimentation and stratification, wherein a dialogue is set up between nature and abstraction, landscape and architecture. 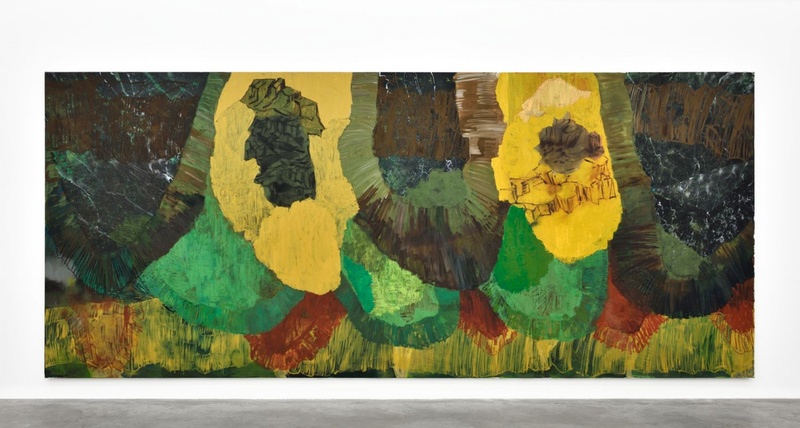 His first visual productions somewhat resemble collages and were executed on Masonite panels. 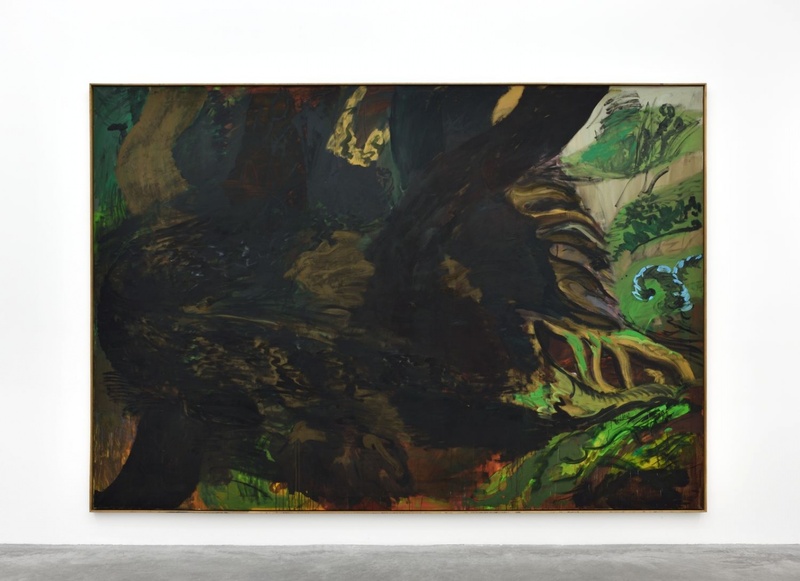 During the 1970s, his landscapes on canvas gained more and more importance. 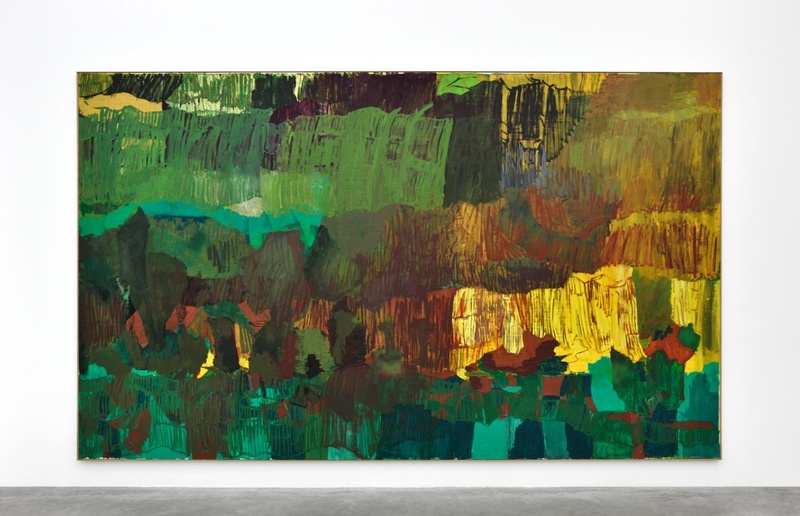 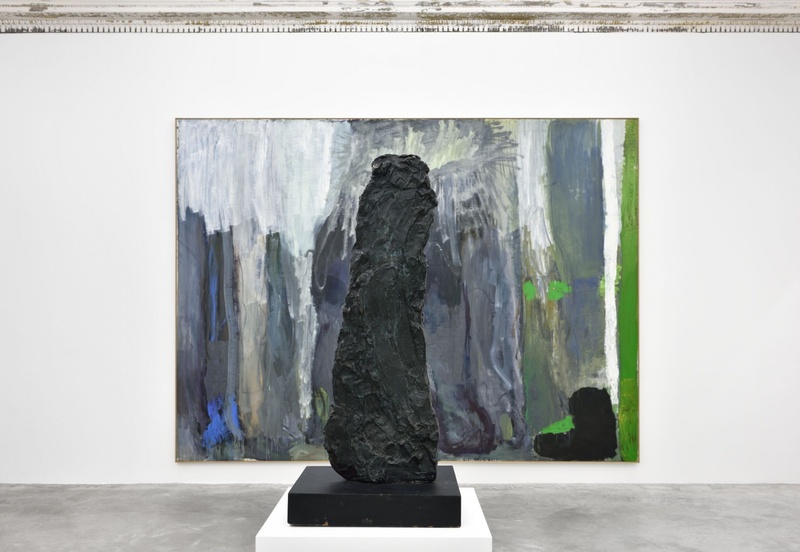 The increasingly monumental works he created in the 1980s can be recognized by their use of subtle tones, which developed into the more brightly colored palette of the later works. 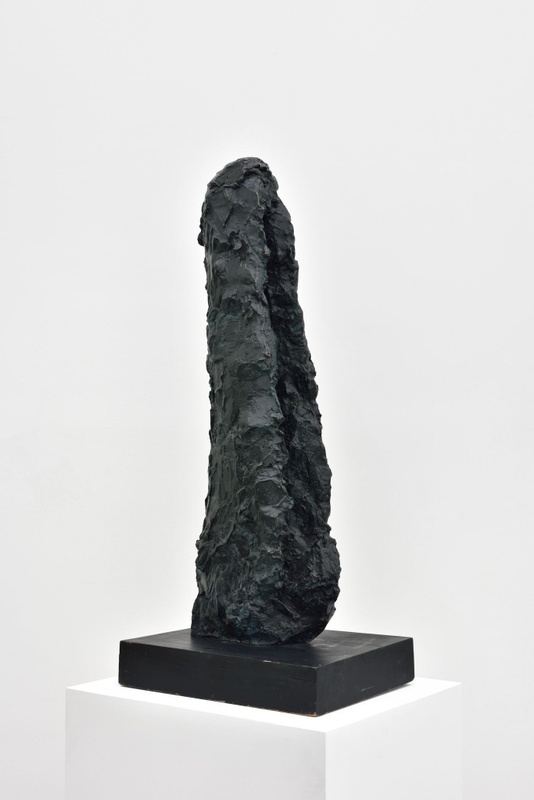 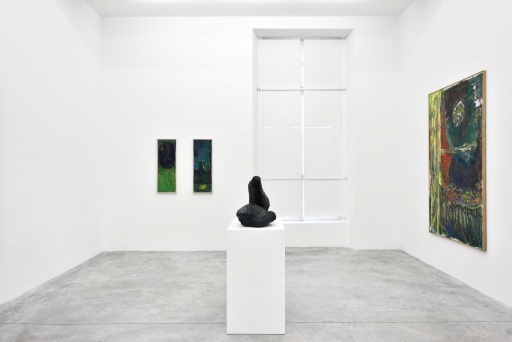 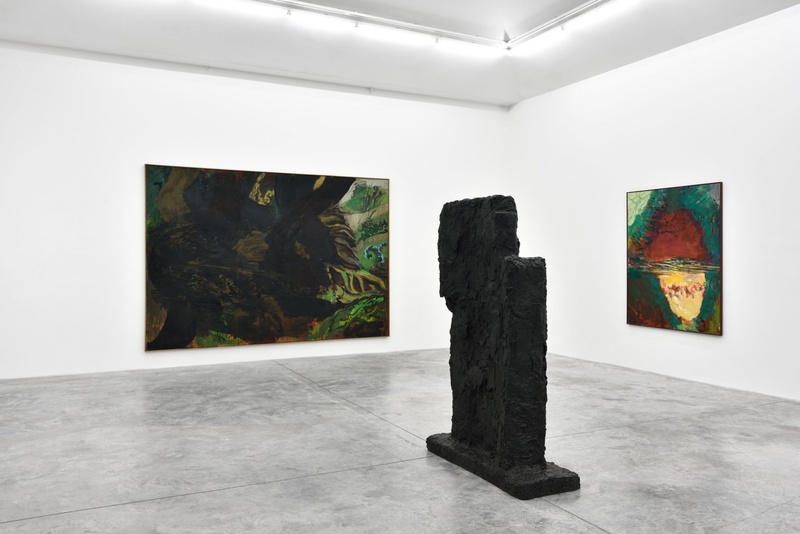 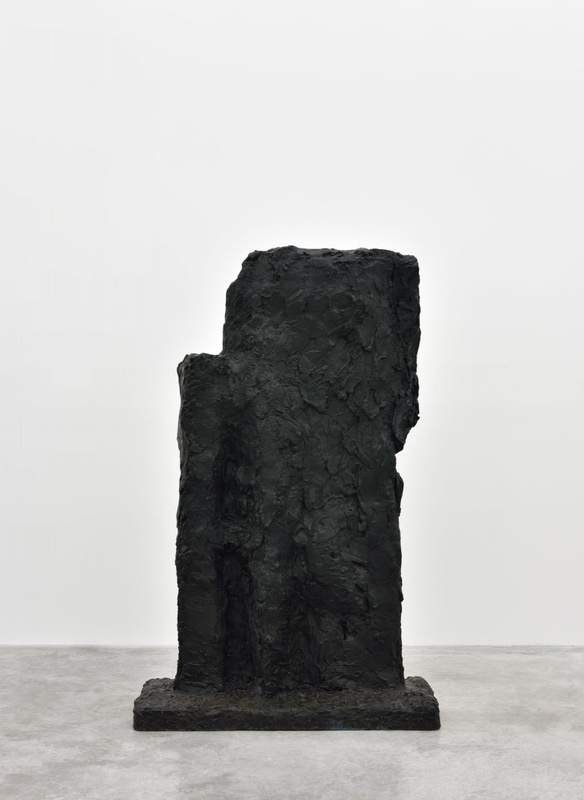 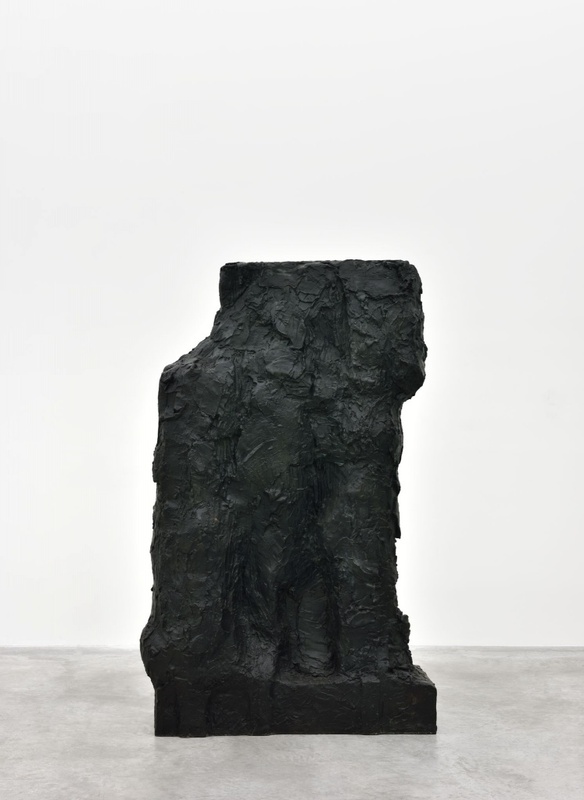 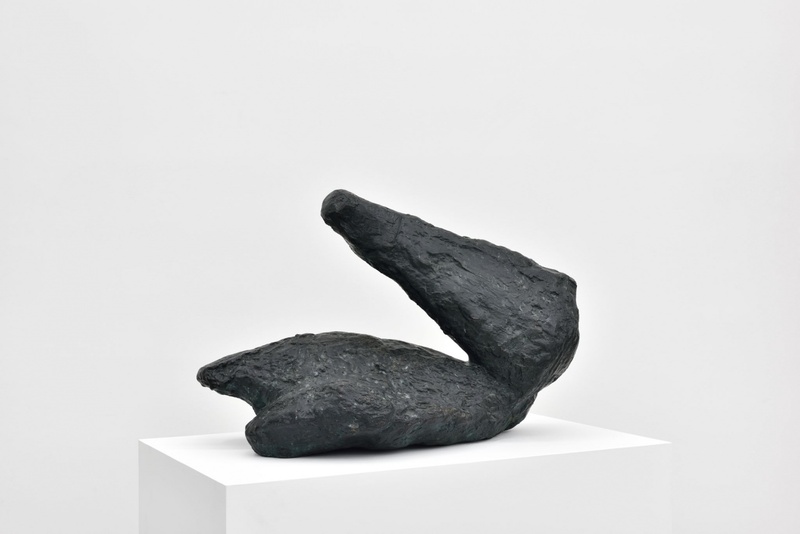 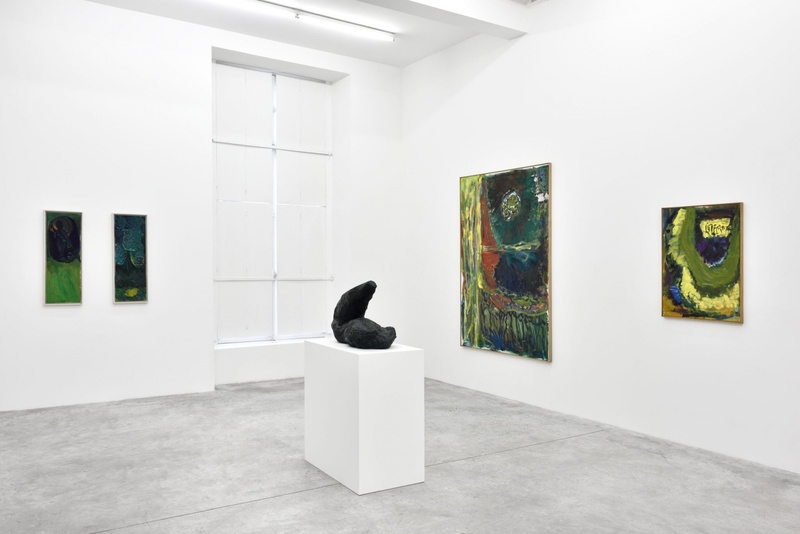 His sculptural practice is most often characterized by the brick sculptures that he developed in the mid-70s, yet also includes works in bronze begun in 1981. 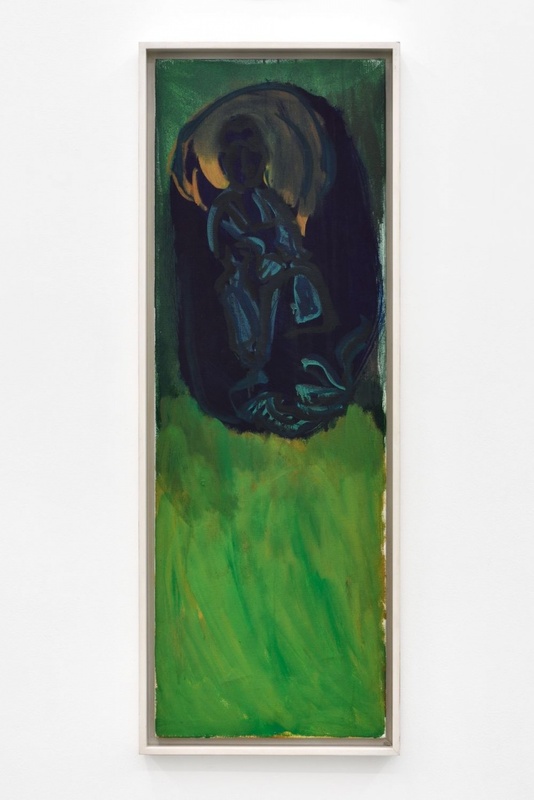 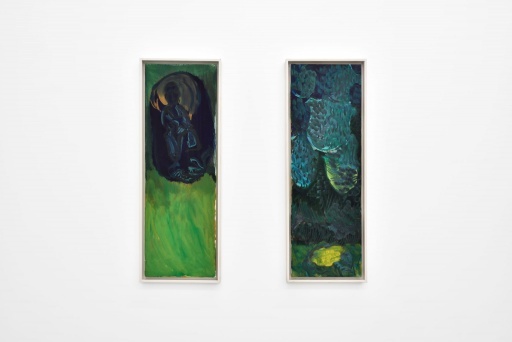 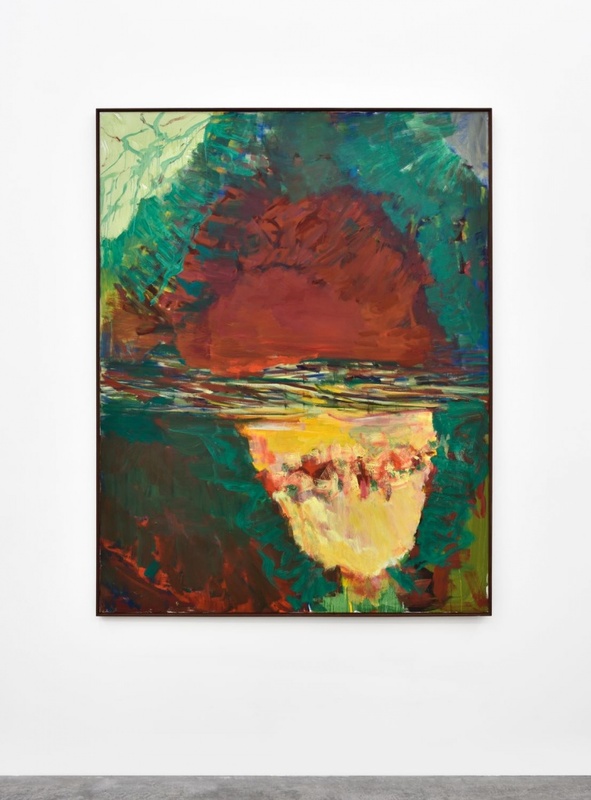 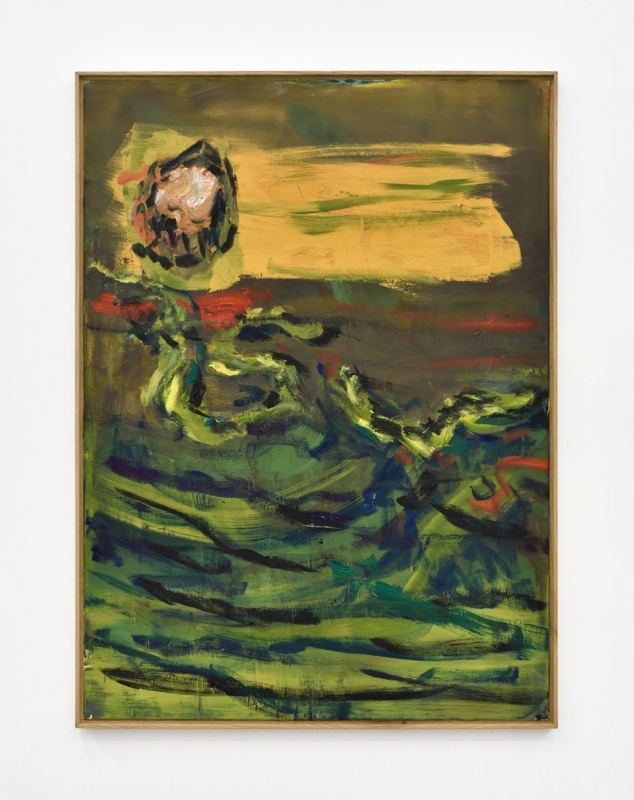 Closely acquainted with major German Artists of the eighties such as Georg Baselitz, Markus Lüpertz, A.R. 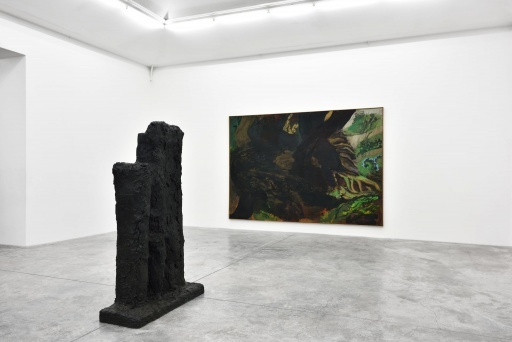 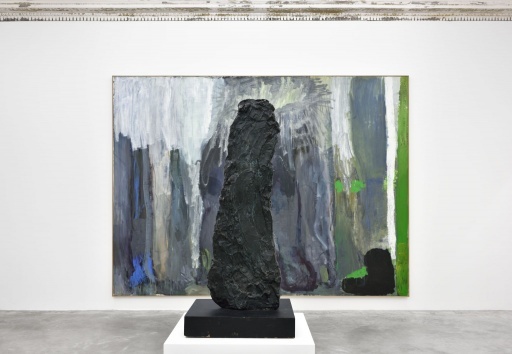 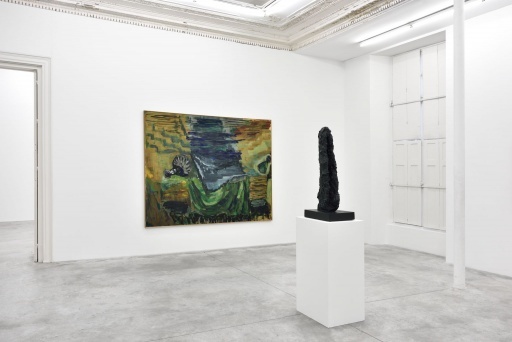 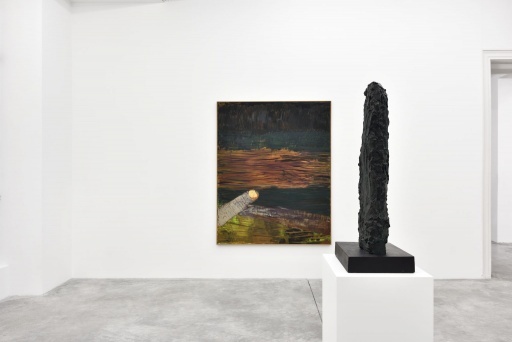 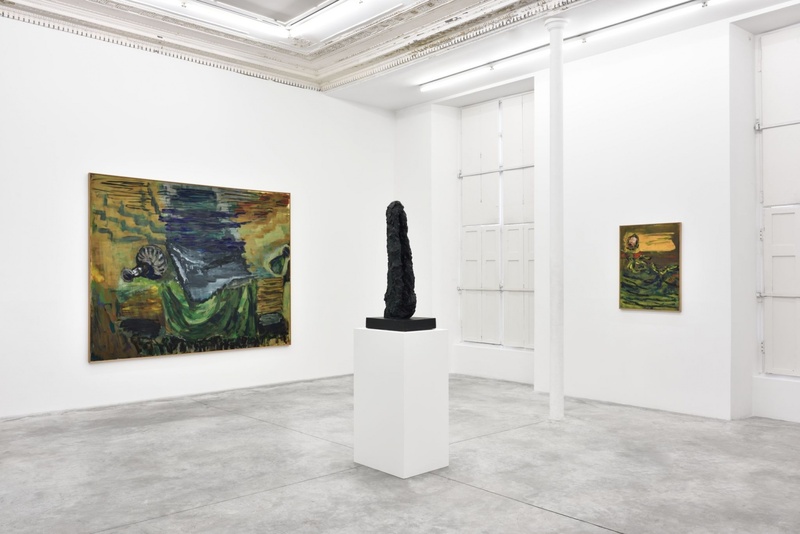 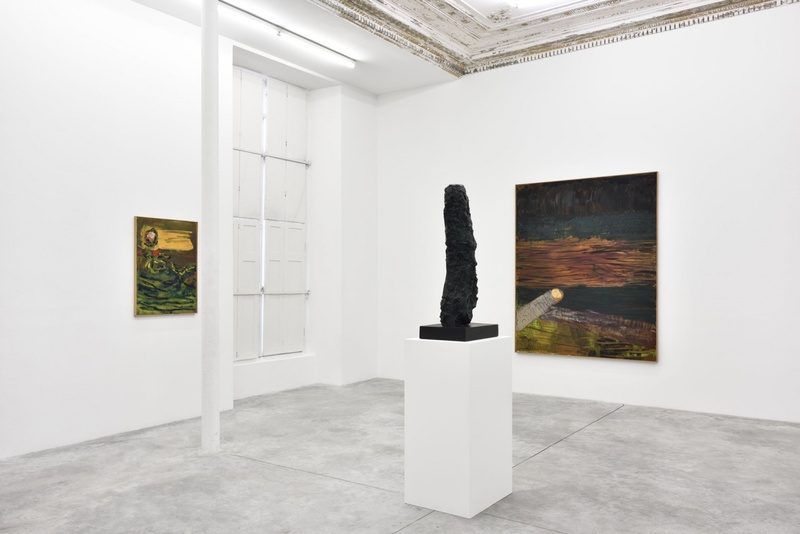 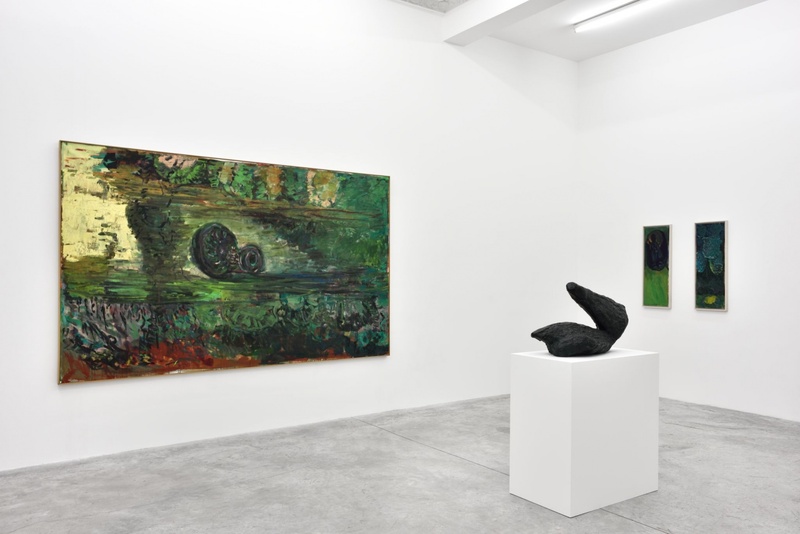 Penck, Jörg Immendorff, and Anselm Kiefer, Kirkeby was included in the 1981 exhibition Malerei in Deutschland at the Palais des Beaux-Arts de Bruxelles. 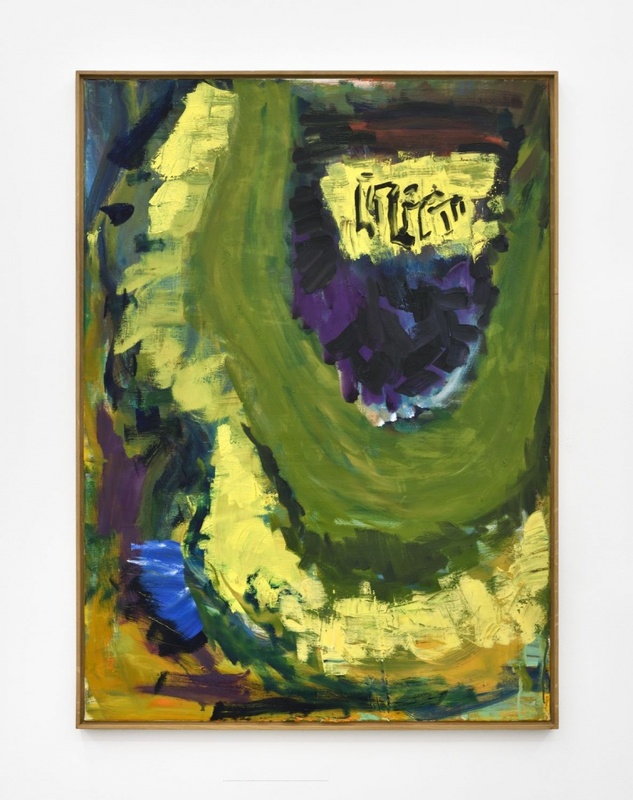 He taught successively at the Karlsruhe Kunstakademie and the Städelschule in Frankfurt from 1978 to 1988. 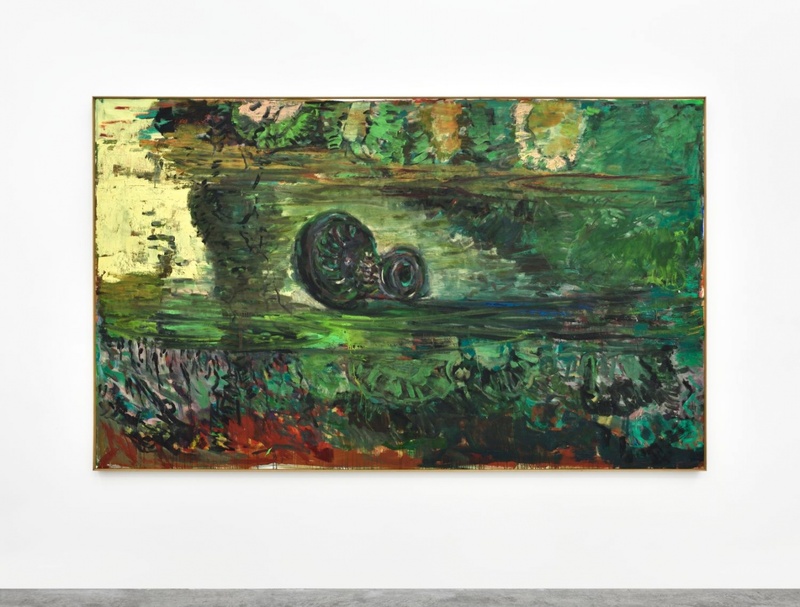 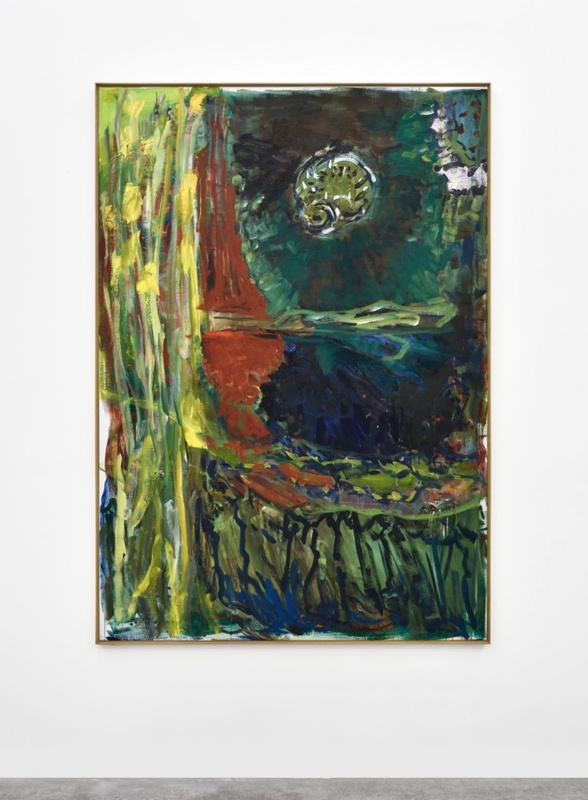 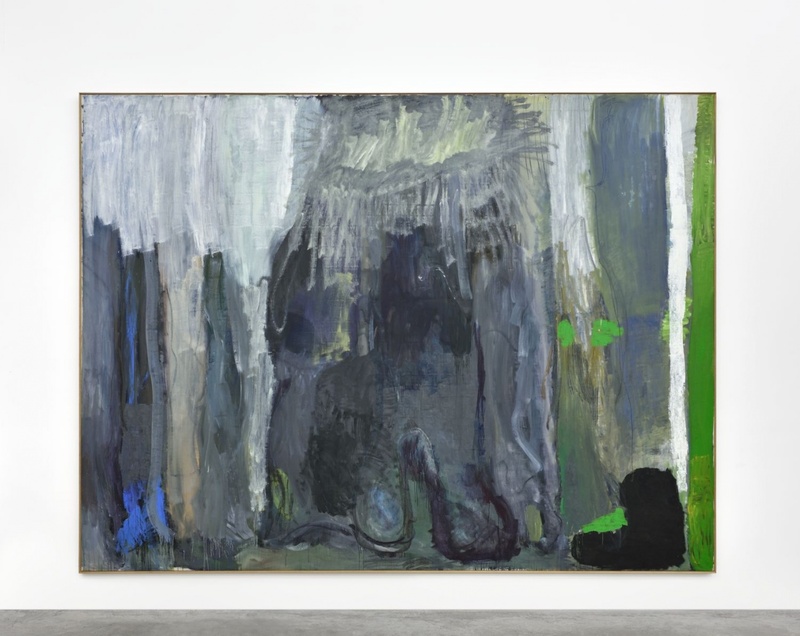 Kirkeby represented Denmark in the 1976 Venice Biennale and participated in Documenta VII and IX. 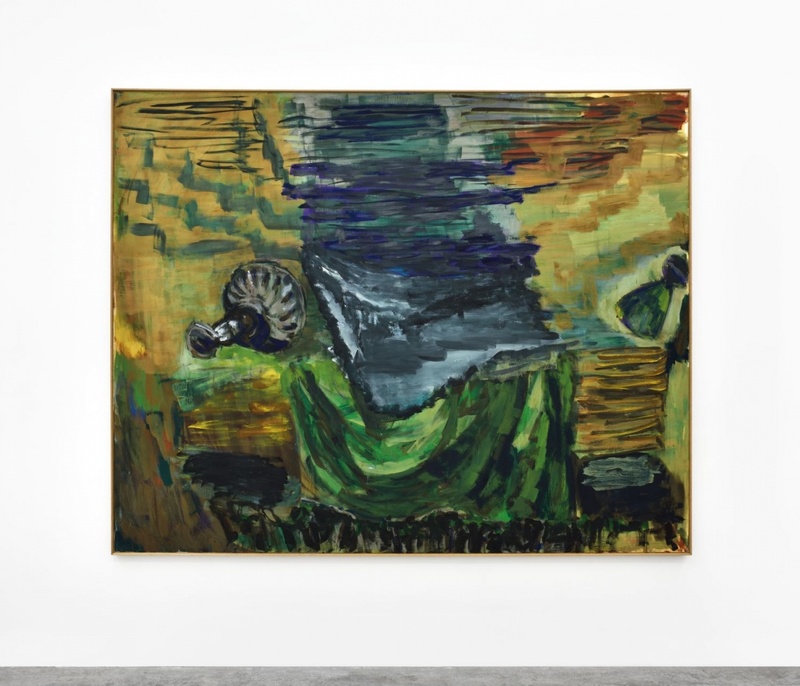 He has been granted solo survey exhibitions in important institutions such as the Van Abbemuseum, Eindhoven; Kunsthalle Bern; Whitechapel Art Gallery, London; Museum Ludwig, Cologne and The Louisiana Museum of Modern Art, Humlebæk.